Still waiting for the FDA to tell Pharma what we can do in Social Media? Folks, we already have our guidelines. Reading an old article last night (note: from Jan 2014) made me realize some of the real reasons behind Pharma’s struggle with social media – and it’s not because of the FDA or lack of guidance. While the article is outdated, it pointed me to the still existing combination of Pharma’s misguided approach and a fear of FDA action that has been reinforced by social/pharma “thought-leaders,” thereby making it a major worry of marketers and med/legal teams who are simply not familiar with the landscape, nor technically savvy enough to know otherwise. The article quoted an expert Pharma consultant saying that until the FDA issues “final” guidance Social Media guidance, the benefits do not outweigh the risks. The expert explains FDA action could come down at any time and have serious ramifications – using a fear-inducing metaphor that likened a Warning Letter to a medieval beheading. Most companies don’t want to be the one to test the boundaries; it was argued, because of this looming threat. …and why the dramatics? It only discourages progress. Is there really a “risk” with social media? Well, with the U.S. being one of only two countries to allow DTC marketing, there sure is, but it’s directly related to that branded/DTC marketing. The FDA quite readily informs Pharma when it fails to include fair balance or otherwise mislead patients. Let’s remember that a review of FDA activity in digital/social from 2012-2013 showed that the social platforms themselves were very rarely the basis for FDA action. In terms of FDA guidance – it is as it always was. Include the risks with the benefits, don’t go off-label and keep it transparent. At this point, excuses for Pharma’s general lack of progress social media are the ghosts of early fears and a misapplication of branded marketing tactics in a truly social environment that was never fit for it. This “risk” has been a major talking point of Pharma social media “experts” for nearly a decade now. It’s a perpetuation of fear, focusing on staying compliant under the firm hand of the FDA, pushing to build custom Facebook tabs and video platforms that try to control or contain risk, rather than focusing on formulating strategies to avoid it. 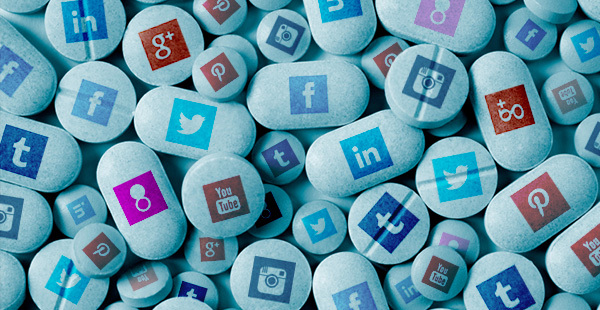 While we all recognize the tremendous opportunity for Pharma social media, it’s just simply NOT going to be about a drug. Attempting to navigate ever changing social platforms, technology and regulations with drug-related content is a potential minefield that exposes Pharma to the most risk. We must move away from this for a few reasons: 1) the majority of the world prohibits DTC comms, 2) the FDA is putting safeguards in place around DTC efforts in social and 3) the communities and technology that social media has been built on shy away from branded promotional content, especially from Pharma. With unbranded initiatives, there’s an opportunity to make a real impact. There are minimal risks that can be planned for and handled appropriately. Keep in mind that creating disease awareness programs, devoting marketing dollars to promote R&D and philanthropic efforts will cast a wider net, still leading patients down the sales funnel via opt-ins or innovative digital tools/apps. This has the benefit of providing a feeling of trust and control for the patient. Taking this “long view” of a condition is a viewpoint being done sparingly in Pharma, but is desperately needed, one example being Novo Nordisk in Diabetes (via mobihealthnews.com). If we don’t realize that DTC efforts and branded marketing aren’t a fit for social, the industry will continually sabotage its own efforts, keeping it far behind others, increasingly reinforcing a negative perception. That is…unless we pull it out of the mud! Get in touch and let’s talk about a successful approach to social media for your brand – bryan@bkdigital.nyc.